This Trainer is used to teach the initial or first steps in field bus tecnology based on Profibus DP. 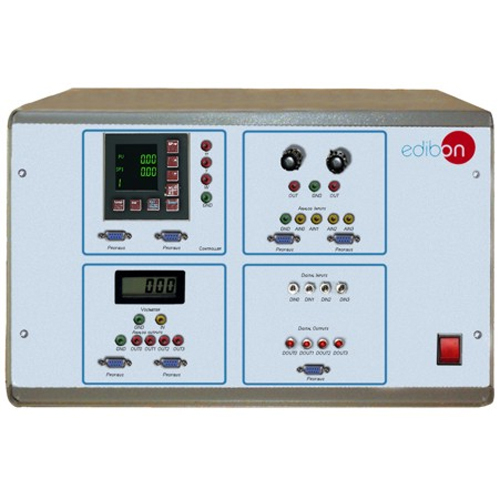 The field bus permits networking terminal devices (controllers, actuators or sensors) in the plant system (field level) with the control room (control level). Several devices (slaves) are activated and read by a computer (PC) with a Profibus DP interface (master). Different subjects or topics can be covered and studied: bus topology, system configurator with Device Master File “DMF”, communication protocols, tags, OPC server, output and input process data, etc. OPC server and process control software. Trainer for field bus systems. Digital Profibus DP I module. Digital Profibus DP O module. Analog Profibus DP I module. Analog Profibus DP O module. Process variables as analog signals at lab jacks: 0-10V. 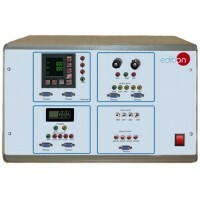 Software CD with driver software, system configurator, OPC server and process control software. Possibility of connection of external instruments via lab jacks (for example: chart recorder, oscilloscope, etc).Set of cables.